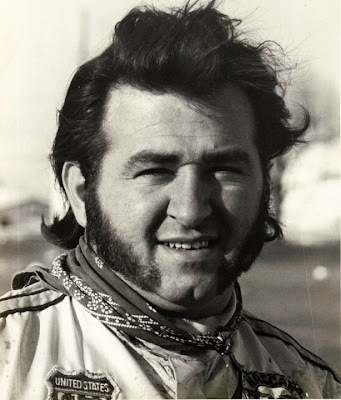 Freeman Spur, Ill. (April 13, 1972) - If ever there was a guy with a burning desire to make it big in the world of professional auto racing, it's Chuck Amati. 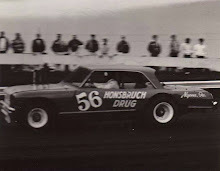 The short, stocky built guy, who calls Freeman Spur, Ill., and Greenfield, Tenn., home, is a 24-hour a day auto racing buff. He loves racing and he can hardly wait until each race day rolls around. Those days away from the track arc a reminder. Without a doubt, Chuck Amati is one of the best and most popular drivers at the small tracks in the tri-stale area. He’s been a consistent winner at Illinois tracks such as Benton, Marion and Granite City as well as at tracks in Missouri and Indiana. Like most guys serious about their business - and racing is his business - Amati has ambition. 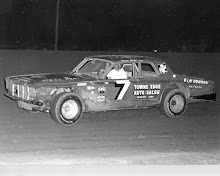 He’s not satisfied with racing at the local tracks, he wants to race at Indianapolis, at Trenton, at Langhorne, at Phoenix, at Du Quoin and all of the other places, on the United States Auto Club schedule. So what’s holding the little guy up? Why doesn’t he tackle the big timers? 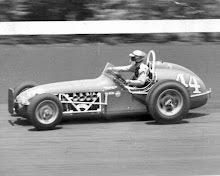 Amati, and guys like him, seldom race against the USAC drivers unless they're prepared to give up a year of racing at the non-USAC sanctioned tracks. 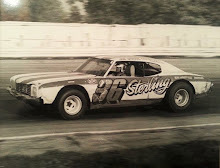 Amati currently has three sponsors who pick up the bills for his racing in the area - an Alabama auto dealer, a Marion, Ill., motel owner and a Marion truck stop owner. He and mechanic Kay Fletcher, who worked the wrenches for the late Don Branson, will hit over 30 tracks in several Midwestern and southern states this season. The season for Amati begins in Florida in February and ends in the Midwest in October. Amati has set two goals for himself this season - winning the Little 500 at Anderson, Ind., in May and winning the "Blockbuster 50" at Du Quoin, Ill., in July. Chuck finished third in the Du Quoin race last year after experiencing car trouble and did the same in the Little 500. Chuck has no trouble drawing attention from the fans at the tracks where he competes and he'll be even more noticeable this season. When he opens the local season at Benton on Saturday night, he’ll be decked out in a bright yellow racing suit covered with peace signs driving a red, blue, white, orange and yellow super-modified racer. 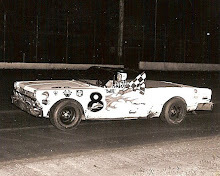 Amati, winner of the Hoosier Auto Racing Club Sportsmanship Award last year for pulling a driver from a burning car, has been racing since 1958 and full time since 1969. And the guy sincerely believes he'll be at Indianapolis someday.